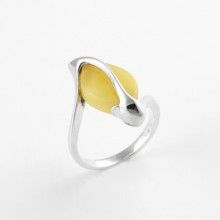 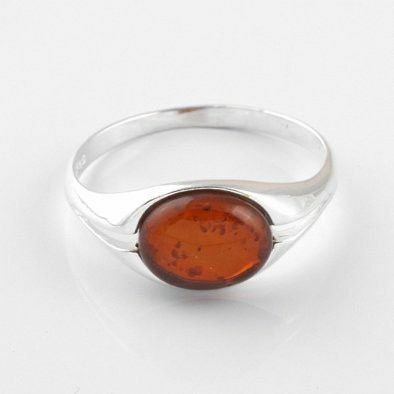 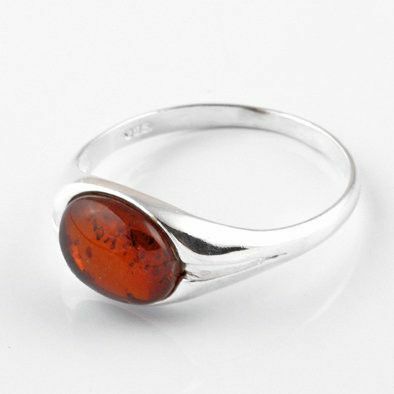 This modern ring features a honey amber oval set in a unique .925 sterling silver band. 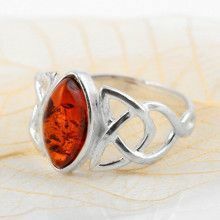 Sterling silver surrounds the amber stone, then tapers into a wide V-split ending in a simple band. 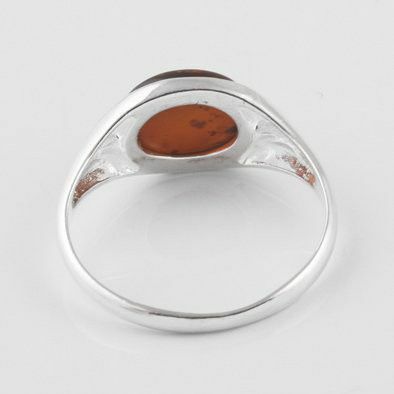 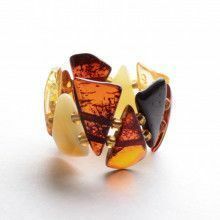 Due to the nature of amber, the color and natural inclusions of each hand-selected piece may vary slightly. 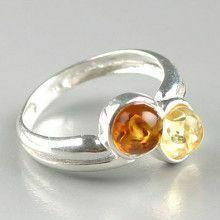 Top of the ring measures 5/16" x 7/16"